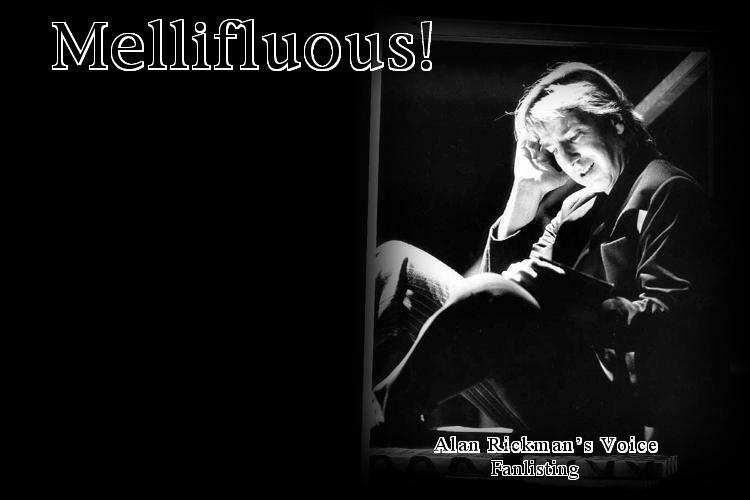 Welcome to 'Mellifluous' ~ The Orginal Fanlisting for Alan Rickman's Voice, previously approved by the Pysical Fanlisting Network. If you are not sure what a Fanlisting is, or want to know a little bit more about Alan Rickman's beautiful voice, have a look through the About section. Opened on 15th March 2004. Home | About | Rules | Codes | Join | Members | Edit Info | Extras.